There is a time and place for every song. You are the one with the chocolate on your tongue when you’re drinking from the chalice of truly good music. 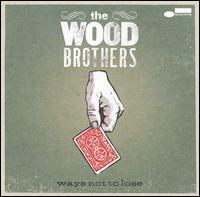 The Wood Brothers’ “ways not to lose” is a hopeful album with a backbone rooted in folk. The pen drops close to the heart for Oliver and Chris Wood. It runs through a a myriad of chill jams and tight grooves. Definitely check it out if you want a departure of the hassels of every day things.